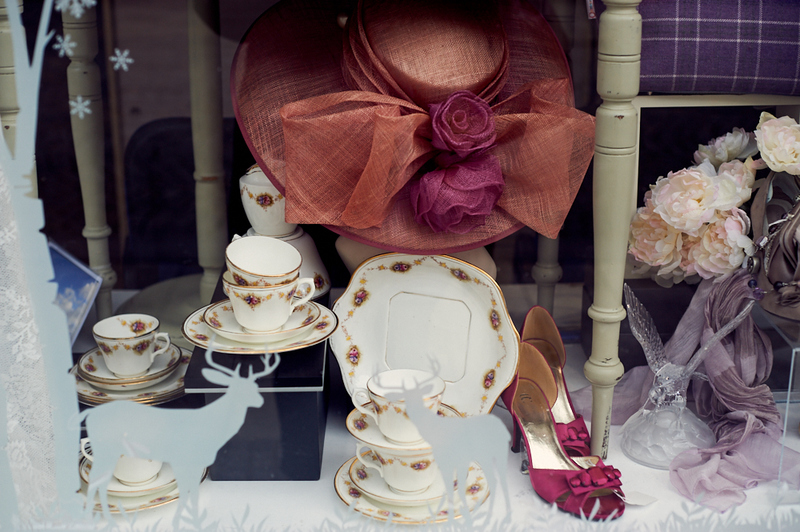 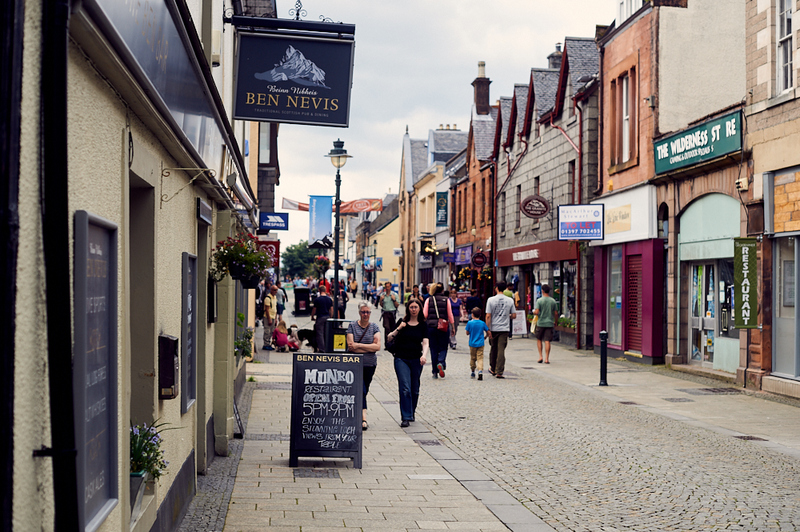 After a long Afternoon Tea in one of the cozy pubs on the High Street of Fort William and a little stroll around the town, it was time for the second boat trip of the day. 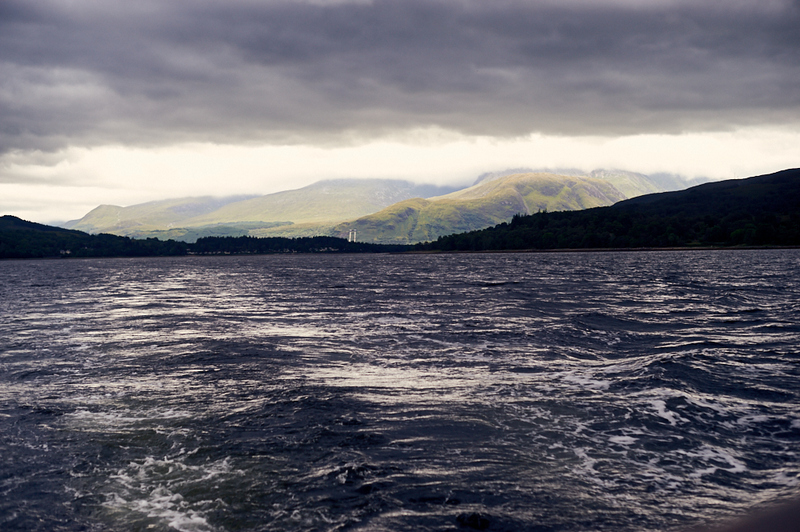 We started again on Loch Linnhe which follows the line of the Great Glen Fault and is one of the deepest lochs in Scotland. 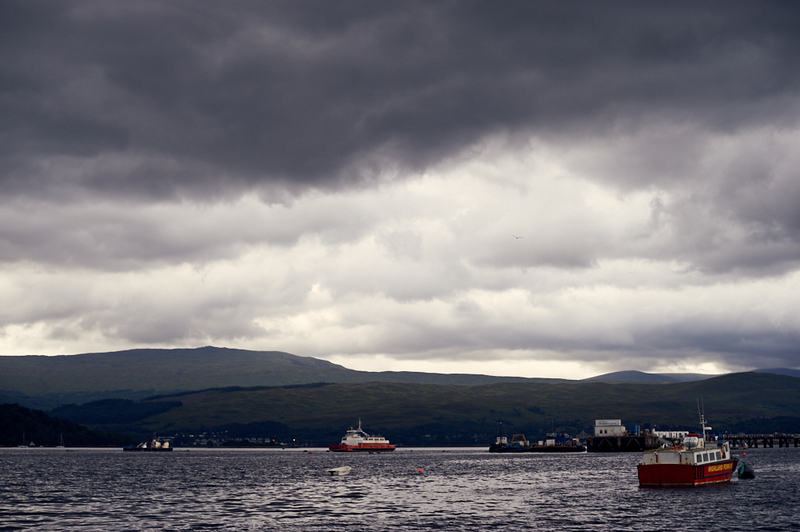 Because of this depth, the Loch is used for deep diving training and subsea testing. 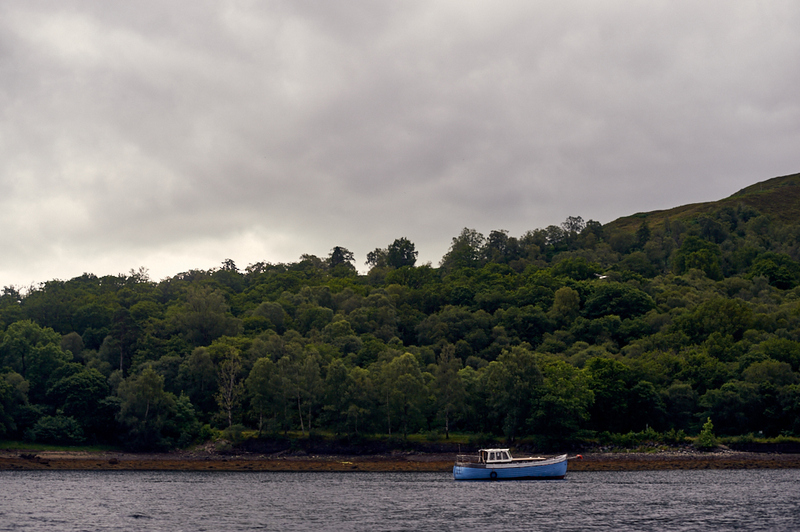 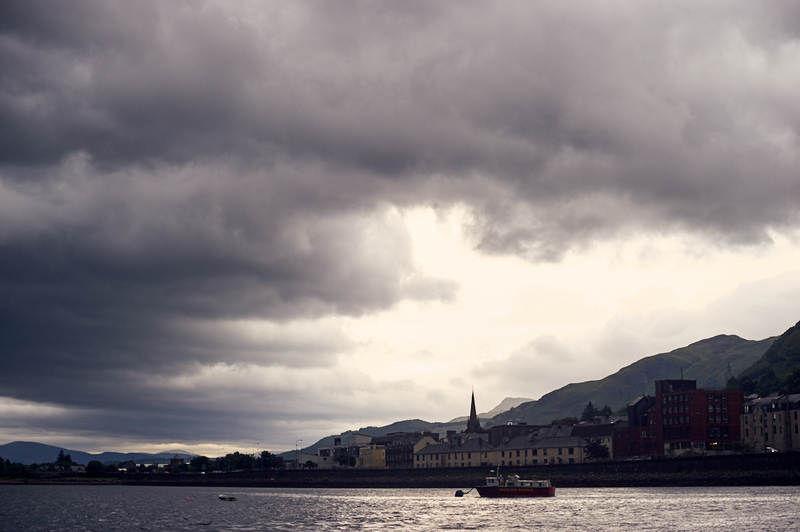 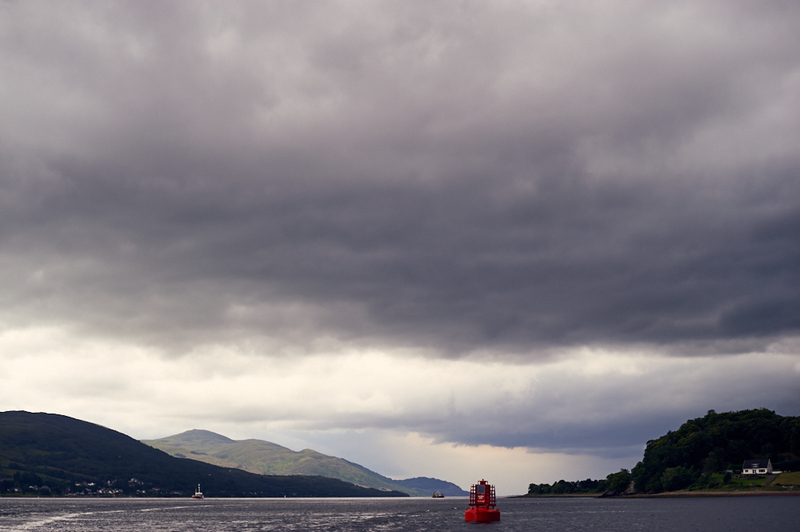 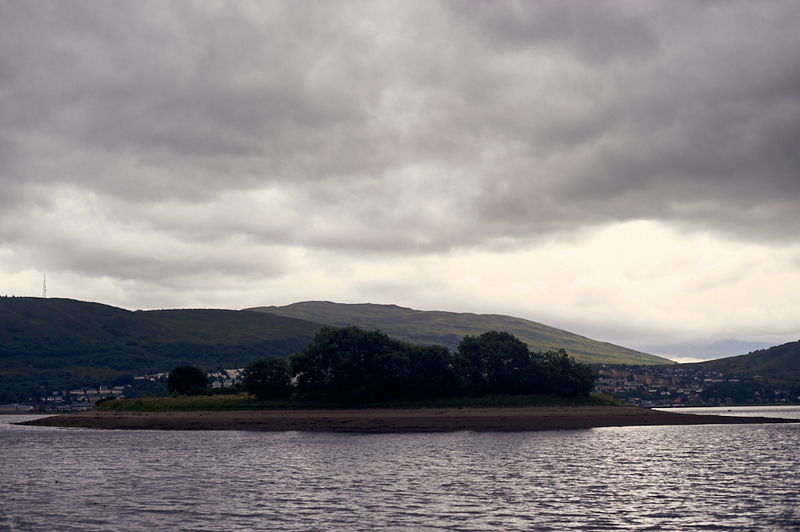 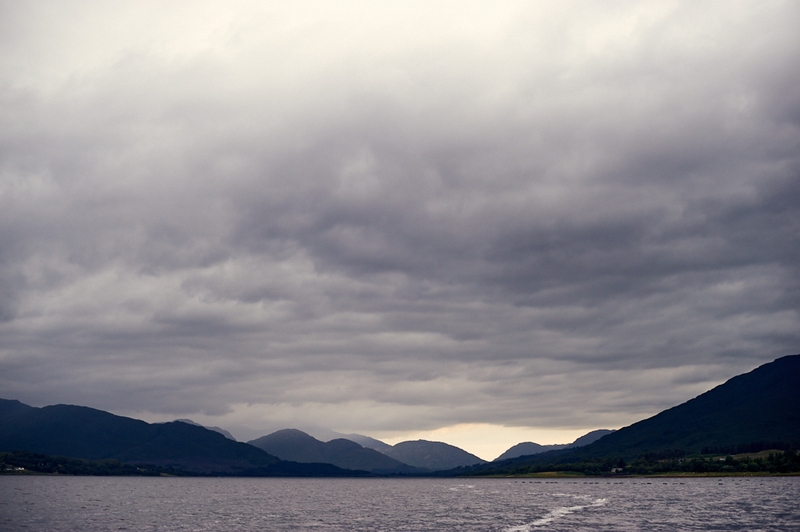 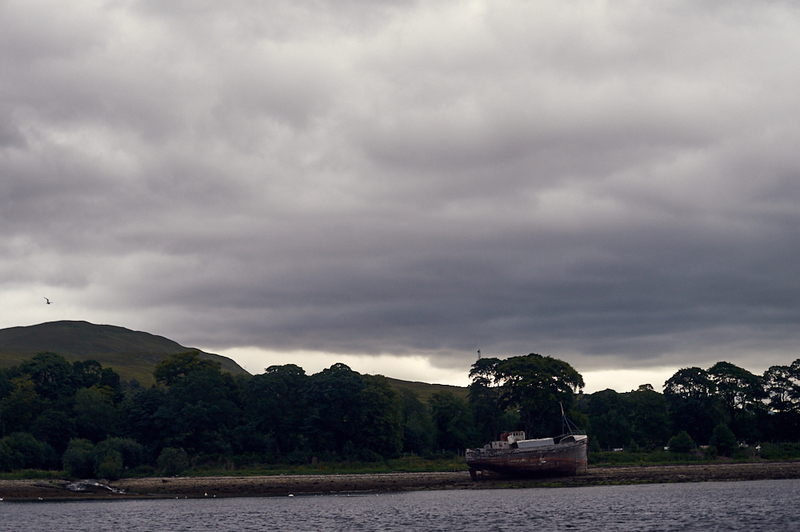 This time we didn´t cruise around Linnhe but turned northwest on Loch Eil. 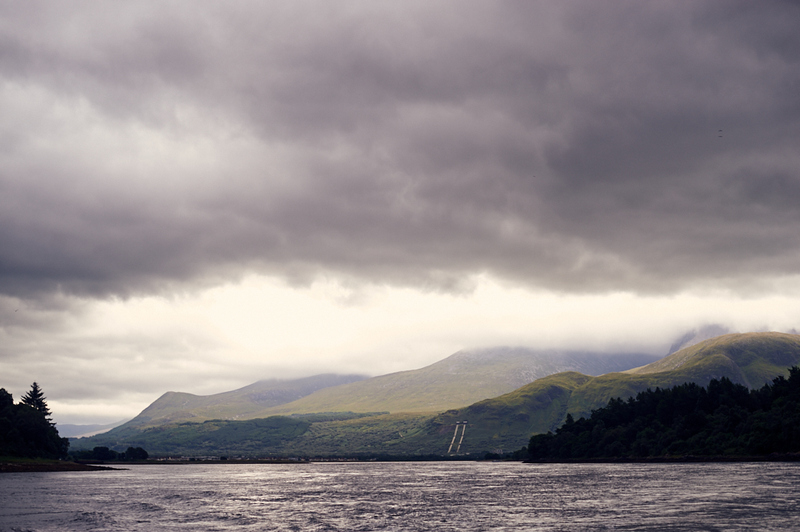 Ben Nevis was still hiding behind clouds. 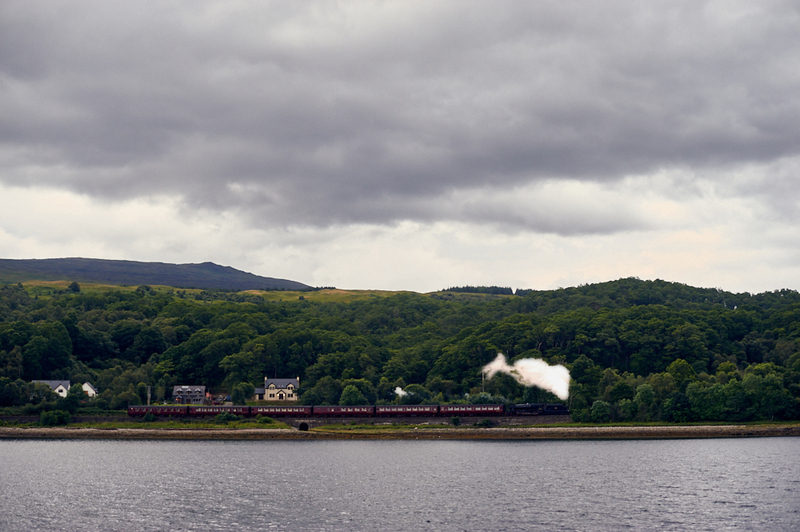 And we met the Jacobite Train – a steam train operating on the West Highland Railways – and my date for the next day!